Due to extremely low flows and concerns about warm water temperatures, Colorado Parks and Wildlife is asking anglers to self-regulate their fishing activities. Effective immediately, CPW is placing a voluntary fishing closure on the Conejos River from noon through the remainder of the day. of an emergency closure to all fishing if conditions worsen. The river is located in the San Luis Valley in south-central Colorado. Because of the ongoing drought, the river is flowing far less than the historic flows. Normally at this time of year flows from the outlet at Platoro Reservoir are usually about 60 cubic feet per second. For the last few weeks flows have averaged about 10 cfs, only 19 percent of the historic average. Snowfall last winter of less than 50 percent of average in the Rio Grande basin is the primary reason the river is running so low. Water temperature is also a concern. At times temperature of the river has risen to 70 degrees which is unhealthy for trout. The temperature of the river is highest from noon throughout the rest of the day. Water cools overnight, so fishing during the morning hours will help to minimize impacts to trout. Many trout anglers practice catch and release. But in these conditions it is extremely stressful on fish when they are hooked and handled. They might look OK when they swim off quickly after they’re released, but they use a lot of energy when caught and recovery is difficult in low, warm water. With less water there is less habitat available to the fish and warming temperatures means there’s less oxygen available in the water. That can lead to increased trout mortality. Brown trout, the predominant species in the river, spawn in the fall; so the current river conditions could impact spawning activities. “This is the first time we’ve made this kind of voluntary-action request on the Conejos. It’s not something we like to do, but it’s the right thing to do and we hope anglers will join us in this conservation effort,” Alves said. Over the summer there has been a series of agreements to release water from reservoirs to maintain the river at a higher level for recreational activities like rafting and fishing. The agreements ended August 15th. “We knew that the river was going to drop,” said Arkansas River Headwaters Manager, Rob White. In days since the river has dropped so low in many spots the river bottom is showing. Rafting companies are now strategic about what stretches they float. Aquatic Biologist with Colorado Parks and wildlife are monitoring trout in the river. “Kind of keep a watch on those temperatures. If temperatures get to 75, 76 degrees than you kind of need to be concerned,” said White. Currently tracking is happening at three locations. Higher up the river near Buena Vista the water is registering in the mid 60-degree range. At the lowest elevation near Canon City it hits 70 degrees, but still below numbers causing concern. Days are getting shorter and nights cooler. It is countering the heat of the day. Aquatic biologists say Brown Trout in the Arkansas spawn toward the end of September. It can actually benefit from the low flow. Yampa River levels have been critically low, Hinkemeyer said, though he added he believes there were problems with the Deer Lodge meter not measuring correctly. The city maintains a 4,413 acre-foot pool at the reservoir, Hinkemeyer said, adding that he sees potential for the pool to be an asset for the city and possibly an income generator. Mayor John Ponikvar said once new city manager Peter Brixius begins work in September, he might want to to revisit the city’s water situation and decide what direction should be taken. Rainbow Trout Ranch photo credit DudeRanchcom. 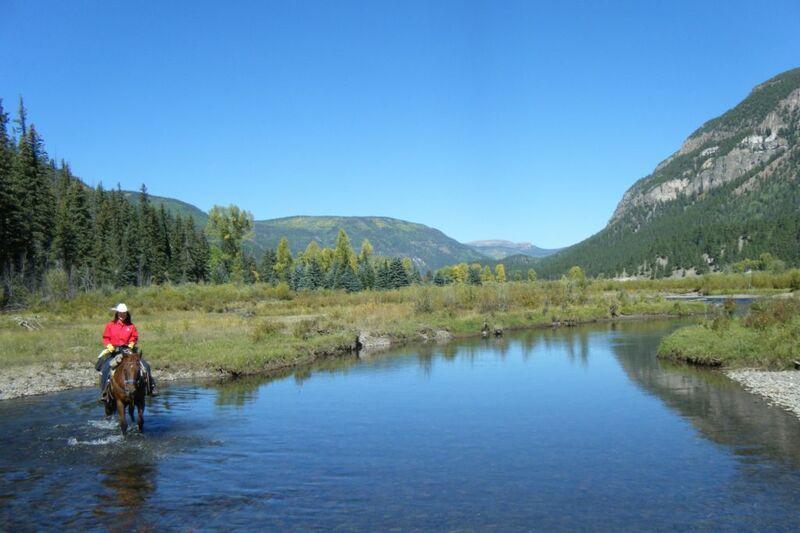 Over a mile of the upper Conejos River is now protected forever, thanks to the commitment of the VanBerkum family. As of last week the beautiful Rainbow Trout Ranch was preserved in perpetuity through a conservation easement with the community’s Rio Grande Headwaters Land Trust (RiGHT). The conservation of Rainbow Trout Ranch was made possible through the generous support of Great Outdoors Colorado (GOCO), the Gates Family Foundation, the North American Wetlands Conservation Act and the Sangre de Cristo National Heritage Area. Rainbow Trout Ranch was featured by RiGHT in their 2014 “Save the Ranch” campaign, and a total of 57 individual donors also contributed to make this project a success. RiGHT would especially like to thank: Forrest Ketchin, Duane and Susan Larson, Chris and Christy Hayes, Michael and Andrea Banks’ Nature Fund, Jim Gilmore, Tom and Pat Gilmore, Barbara Relyea, Nancy Starling Ross and Wayne Ross, and Bonnie Orkow and many others for their generous contributions to this exceptional conservation effort. As part of RiGHT’s Rio Grande Initiative to protect the land and water along the Rio Grande and Conejos Rivers, Rainbow Trout Ranch is the first conservation easement on the upper reaches of the Conejos. Bordered by the Rio Grande National Forest on three sides and La Jara Reservoir State Land Trust land to the north, the permanent conservation of the property will enhance and maintain the overall landscape. This is vital for wildlife movement as well as the preservation of the scenic beauty of the area. The property features large intact areas of Douglas fir forest and extensive riparian habitats, both important wildlife resource areas for large mammals including the federally-threatened Canada Lynx, elk, and black bear as well as migratory birds that rely on high altitude river corridors and the important fisheries of the Conejos River. Conservation of this historic guest ranch also protects the history of western recreation and the cultural importance of a natural playground that generations of guests have enjoyed. First known as the Rainbow Trout Lodge, the ranch opened to guests in 1927, mainly as a fishing retreat, with horseback riding, backcountry pack trips and hiking also offered. In 1993 the Van Berkum family converted it to a full-fledged guest ranch complete with youth programs, evening activities and recreational and fishing access to the beautiful Conejos Canyon. With an emphasis on the western traditions and lifestyle, the Rainbow Trout Ranch will continue to be a place for families to experience the beauty of nature far into the future. For more information about the conservation work of RiGHT please visit www. riograndelandtrust.org or contact the land trust office in Del Norte at 719-657-0800 or info@riograndelandtrust.org. Although the liquid that attorneys argue about evaporates quickly, legal battles around water do not. Rio Grande Water Conservation District Attorney David Robbins, who has been on the forefront of many of those battles over the years, updated the water district board this week on several ongoing cases of water litigation. One of the most significant cases revolves around the groundwater rules promulgated by the state engineer about a year ago. About 30 responses were filed to the rules, some for them and some objecting to portions of the rules. The Division of Water Resources staff has been trying to work with objectors to resolve their concerns short of trial. However, if the objections cannot be resolved, they will go to trial in January of 2018. Cotten said the goal is not to need the eight-week trial presently scheduled for early 2018. Robbins said the judge asked parties objecting to the rules to file notices stating specifically what they objected to, such as the model or data the rules rely upon. The parties have done that, he said, and now the state has the opportunity to respond. Robbins said some objectors are working out stipulated agreements with the state, which will resolve their concerns short of trial. For example, water users with wells in the confined aquifer system in the Alamosa-La Jara and Conejos Response Areas, who objected to the sustainability criteria in the rules, are working out a stipulated agreement with the state. Robbins said he did not think the RGWCD would have any reason to object to the stipulation but he has asked for the documentation. “The groundwater rules/regulations case is moving along. Judge Swift is doing a good job herding the cats. The state continues to work hard to try to resolve some of the objections so they can winnow it down to people who have concerns they want to pursue before the court,” Robbins said. • Center for Biodiversity’s suit against the U.S. Fish and Wildlife Service to list the Rio Grande Cutthroat Trout as endangered, a case in which the RGWCD has not become involved but is considering whether it should, favoring the opinion of the Fish and Wildlife Service that the trout is not endangered. RGWCD Board Member Bill McClure cautioned against the district spending dollars and time on cases that were already well represented by other agencies. Robbins agreed and said that is why he had not recommended that the district become directly involved in the Rio Grande Cutthroat Trout suit, as the US Fish and Wildlife Services is already handling it. Colorado will end the year with a credit in Rio Grande Compact accounting. Colorado Division of Water Resources Division 3 Engineer Craig Cotten told the Rio Grande Water Conservation District board on Tuesday it appears both the Rio Grande and Conejos River systems will end 2016 on the plus side, with the Rio Grande reflecting about 7,000 acre feet credit at this point and the Conejos River system less than 1,000 acre feet credit. “We try to over deliver just slightly so there’s no issue with downstream states,” Cotten said. Colorado must deliver water to New Mexico and Texas according to the Rio Grande Compact. Cotten explained that the annual flow on the Rio Grande this year will be about 670,000 acre feet, which is not a bad water year, especially considering some of the previous dry years in the Rio Grande Basin. He said that of the 670,000 acre feet, the Rio Grande would owe 190,800 acres feet or about 28 percent, to its downstream neighbors through the Rio Grande Compact . The river has met that obligation and then some, Cotten added. At this point, it appears the Rio Grande will have over-delivered about 7,000 acre feet. There are currently zero curtailments on Rio Grande users and slight if any curtailments since the beginning of September. The Conejos River system came closer to its obligation without sending too much extra downstream, according to Cotten. The annual index flow on the Conejos system will be about 280,000 acre feet, of which about a third, or 95,400 acre feet, was obligated to downstream states. Southern San Luis Valley water users took charge of their future on Tuesday as they became the third group to form a water management sub-district of the Rio Grande Water Conservation District. The sponsoring district board unanimously accepted petitions for its latest subdistrict, which encompasses 141 wells covering 170 parcels of land in Conejos County. The sub-districts are designed to provide an alternative to individual well regulation by grouping wells in geographic or hydrological areas of the San Luis Valley (Rio Grande Basin), which as a group replaces its injurious depletions to surface water rights. Sub-districts are also beginning to repair long-term depletions to the Valley’s aquifer system caused by well pumping. Sub-district participants pay fees, which are used to buy water and/or provide incentives to reduce pumping. In the sub-district presented on Tuesday, participants will be assessed fees per well and per acre foot of water. Rio Grande Water Conservation District (RGWCD) Program Manager Amber Pacheco presented to the sponsoring district board on Tuesday petitions representing 141 of a potential 198 wells in Sub-district #3. Nathan Coombs and LeRoy Salazar, who were part of the group that formed the subdistrict, were also present for the petition presentation to the RGWCD board. Pacheco told the board staff and working group members had been working on this third sub-district for many months. Once they had information from the groundwater model, which determines depletions, the group was able to move forward. Pacheco said the group was very successful in persuading well owners to join the sub-district , which is an “opt-in” sub-district. People had to choose to join. The first sub-district, on the other hand, was drawn up to cover a specific geographical area in the Valley’s closed basin region, and the work group then had to gather petitions from at least 51 percent of the landowners and 51 percent of the land. Pacheco said efforts were made to contact every well owner in the Conejos subdistrict to give them the opportunity to join the subdistrict. Only one well owner, whose address was in Florida, did not respond at all, and another did not want to be involved. Both of those wells had not been used in a while. Four other well owners opted out, not because they were against the sub-district but because they had other plans for their properties, and 21 wells belonging to governments such as towns or school districts indicated they would like to contract with the sub-district but could not participate directly, Pacheco explained. She added a number of well owners decided to move their wells to exempt status so they would not fall under the groundwater rule process, for example downgrading them to stock or domestic wells, and a couple of well owners planned to seek abandonment of their wells. All of the irrigation wells in the third sub-district are included, however, Pacheco said. After receiving the petitions, RGWCD staff verified ownership and legal descriptions before presenting them to the board. “It’s a massive undertaking,” said RGWCD General Manager Cleave Simpson who commended the staff who completed that process. He also commended the residents who have been working on this for some time. “The people have been great to work with,” Pacheco added. RGWCD Attorney David Robbins said the process now is to file the petitions with the district court in Conejos County (because that is where the land lies in this subdistrict) and seek the court’s approval for the sub-district’s formation. The court must hold a hearing no less than 60 days and no more than 90 days after receiving the petitions , he added. Individuals with questions or challenges against the sub-district formation may express those to the court. “With our participation basically 100 percent, we would hope we wouldn’t see much of a protest to the formation of the sub-district ,” Pacheco said. If there are no challenges, the court will enter an order forming the sub-district , and a board of managers can then be appointed and a plan of management prepared, Robbins explained. That plan will be submitted to the state engineer’s officer for approval. The first sub-district , which is one of the largest and most complicated, has been in operation for a few years now, and the second sub-district in the alluvium of the Rio Grande was officially formed in March of this year and is currently working on its plan of water management. Pacheco said progress is also being made in sub-districts in the San Luis Creek, Saguache and Alamosa/La Jara areas. She said the goal is to have the remainder of the sub-districts in front of the court by early next year. RGWCD staff has been meeting with entities such as the towns of La Jara and Saguache and the East Alamosa Water & Sanitation District to discuss their options for contracting with sub-districts. Discussions are also occurring with federal agencies. A proposed national monument expansion may not receive a ringing endorsement from the Rio Grande Water Conservation District, but the district is willing to keep an eye on the process. The board for the district, which represents water interests throughout the San Luis Valley, discussed the proposed expansion of the Rio Grande del Norte National Monument on Tuesday and met with Ana Lee Varga, project coordinator for Conejos Clean Water, which is spearheading the expansion. Currently the monument, designated by President Barack Obama in 1993, covers 242,000 acres in New Mexico in the Rio Grande Gorge and Taos Plateau areas up to the Colorado state line. 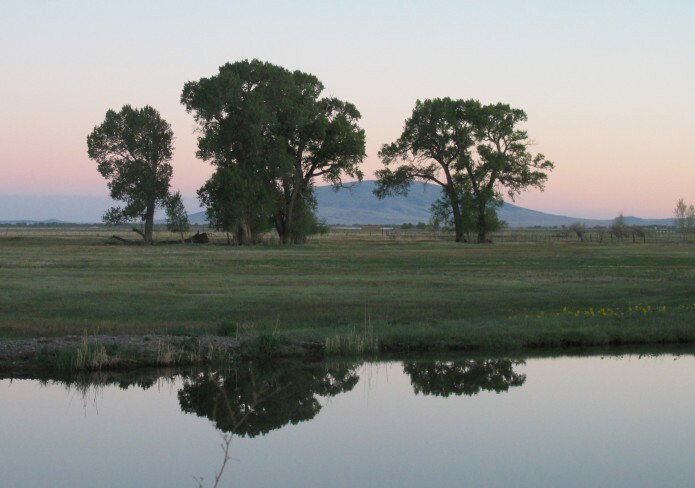 Conejos Clean Water and others have proposed to expand the monument into the San Luis Valley. In meeting with the RGWCD board on Tuesday, Varga said Adams State University Professor Armando Valdez volunteered to help draft language as a starting point for the monument expansion, specifically detailing traditional uses that would be protected. “This is a staring point, not a final draft,” Varga said. Varga said Valdez included language recommended by RGWCD Attorney David Robbins protecting traditional uses such as grazing. Other traditional uses included in the draft are fishing, piñon wood and herb gathering. RGWCD board member Lewis Entz said that while the group proposing the monument expansion is saying traditional uses like grazing and hunting would still be permitted, that has not always occurred under monument designations in the past. Some monuments restrict grazing, for example. “Once you develop this into a monument, you don’t know what’s going to happen,” he said. Varga said that’s why it is important to get the stakeholders together. She said the Conejos County commissioners are supportive of a stakeholder group to discuss issues around the monument expansion. RGWCD board member Lawrence Gallegos, a Conejos County resident, said it is true that grazing has been limited on some national monuments but not all. “There are several national monuments that grazing and traditional uses are still allowed ,” he said. “At this point we just need to monitor where things are going,” he added. Varga said half of the Conejos Clean Water’s board are ranchers, and they do not want to see cattle or other traditional uses eliminated on the proposed monument. Varga said she hoped the stakeholder group could meet in the next few weeks. She and Valentine are currently trying to find a neutral facilitator to lead the discussion. Conejos Clean Water will not facilitate the gathering, she said, and neither she nor Conejos Clean Water Executive Director Justin Garoutte would sit at the table, but a board member would represent Conejos Clean Water at the meeting. Other constituencies that would be represented would include the Farm Bureau, planning commission, ranchers and small business owners , Varga said. Varga said since the group could not find a neutral facilitator to oversee the meeting pro bono, the proponents and opponents were going to split the cost of hiring someone. Varga said so far the dialogue has been for or against, and she would like to see people talking together about it. She said Conejos Clean Water and other supporters feel strongly that there would be positive impacts from the monument expansion, such as protecting sacred lands. National monument designation could also bring funding with it, she said. Entz said he was concerned about the inclusion of the already designated Rio Grande Natural Area in the monument expansion and said a map of the proposed area seemed to overlap the two. Varga said there was no official map yet, and the proponents were willing to exclude areas such as the Pikes Stockade, which has already been taken out of the equation. Gallegos said there were also groups, such as three or four municipalities, that publicly stated their support for the monument expansion. There are as many letters in support for it as in opposition, he added. Martin said he was concerned about the water language that might be included in the monument designation. He said his main concern was the water issues and potential impacts the designation might have on water and specifically the Rio Grande Compact. “I think that it’s probably a water grab,” he said. He added he understood Forest Guardians were looking for water upstream of New Mexico, and he was concerned this might be an attempt to take some of the Valley’s water. “If water has to be given up, it’s a threat to all of us,” he said. Martin said the federal government could determine the water needs for the monument . Robbins said congress has and can state in a monument designation what water rights the monument would be entitled to. Those rights can also be limited in a monument designation, he added. That is why the water district is paying so close attention to this issue, to make sure the existing Rio Grande Natural Area is not negatively affected, Robbins explained. Robbins said the best solution would be no overlap of the monument and the natural area. He reminded the board the natural area extends a quarter mile on either side of the center of the Rio Grande. “I really believe there won’t be any rivers within the boundaries if everything is done properly,” Robbins said. He said he believed the congressional delegation was sensitive to the district’s and the Valley’s water issues. Robbins also explained that if the area under consideration for monument expansion were included in the Rio Grande del Norte National Monument, it would still be under the jurisdiction of the Bureau of Land Management. One of the major differences in use, he added, would be that now the BLM land could be used for gas and mining leases but under monument designation could not. That is one of the reasons proponents are recommending the monument designation. Robbins said the same restriction was tied to the Rio Grande Natural Area as well, no mineral development. Although rain was a welcome sight during a Tuesday water meeting in Alamosa, it may not be a frequent occurrence as the year progresses. Colorado Division of Water Resources Division 3 Engineer Craig Cotten on Tuesday shared the longterm precipitation forecast for this region, which calls for below average precipitation. He said the forecast for July through September calls for “equal chances” in this region but through November the weather service forecast calls for below average rainfall. Water users on both the Rio Grande and Conejos River systems are currently under curtailment to meet Rio Grande Compact obligations , Cotten told members of the Rio Grande Water Conservation District board on Tuesday. The curtailment on the Rio Grande is currently about 9 percent and on the Conejos about 13 percent. Cotten said the annual forecast for the Rio Grande is 690,000 acre feet, of which the obligation to downstream states through the Rio Grande Compact will be about 200,000 acre feet. From now through October the Rio Grande will have to deliver about 11,500 acre feet to meet that obligation, Cotten explained. The forecast for the Conejos River system is 290,000 acre feet, of which 102,000 acre feet are obligated through the Rio Grande Compact. Cotten reported that the Conejos River was higher through June over last year’s flows during that time period but this month is a fair amount lower than last year and significantly lower than average. The Rio Grande showed a similar pattern, he added, with fairly high flows in May, compared to last year, and higher than average. The first part of June was similar to last year, but after the peak the river dropped hard. The latter part of June the Rio Grande was below average and has continued to be below average this month. A $32 billion appropriations bill passed by the U.S. House of Representatives Thursday aims to block the expansion of a national monument into Conejos County. The funding measure for the Department of Interior and U.S. Environmental Protection Agency includes a provision that would bar the use of any funds for a monument created by President Obama under the Antiquities Act. Rep. Scott Tipton, R-Colo., voted in favor of the bill, which would block monument funding in five other Colorado counties and 41 counties in seven other states. Organizations Conejos Clean Water, based in Antonito, and the Conservation Lands Foundation of Durango have spent the last year trying to drum up support for the expansion of New Mexico’s Rio Grande del Norte National Monument onto 64,000 acres in Conejos County. But their efforts have been met with opposition by ranchers in the county who fear a designation would hinder grazing on the targeted area, which is managed by the U.S. Bureau of Land Management. Conejos Clean Water has argued that a potential designation would protect grazing, in addition to barring the area from oil and natural gas development. The Antonito-based group joined 100 other groups earlier this month in urging the House to eliminate the monument provision, arguing that monument designations have been an economic boon to nearby communities. “We do not support any bill that jeopardizes the ability to permanently protect our public lands,” Anna Lee Vargas, an outreach coordinator for Conejos Clean Water, said in an email. The administration’s formal statement said the measure would debilitate a program that’s successfully been used to protect the nation’s cultural and natural heritage. The winter and spring snowpack that normally sits above this former mining town in the southeastern San Juan Mountains can be both a blessing and a curse. It’s a blessing when there’s a lot of it — more runoff in the Conejos River basin in spring and summer is almost always a good thing. But it can be a curse, especially for water managers trying to balance deliveries to local irrigators with the obligations of the Rio Grande Compact, because it’s difficult to measure, which, in turn, makes streamflows harder to forecast. The Conejos Water Conservancy District, with the help of a host of federal and state agencies, has spent the last two years trying to change that. The district is in the second year of a pilot project that’s prompted the installation of six new snow monitoring sites that can also measure soil moisture, humidity and temperature. Another project component includes five new stream gauges in the upper reaches of the Conejos basin. The project has also made use of a federal mobile radar and flights deploying a laser technology that precisely measured the watershed’s surface to get a better handle on the snowpack. All of these steps result in data that are fed to scientists at the National Center for Atmospheric Research whom are refining a new forecasting model. Nathan Coombs, manager of the Conejos district, knows a more accurate forecast model requires years of refinement but he’s encouraged by the project so far. “We know we’re collecting better, usable data,” he said. That’s a big improvement given that prior to the last two years, the 92-mile long Conejos had no snow gauges above its main stem and lacked stream flow gauges on many of its tributaries. The Colorado Office of the State Engineer has traditionally used forecasts from the U.S. Natural Resources Conservation to project how big or small stream flows will be. And the engineer’s office imposes curtailments on water users along both the Rio Grande and the Conejos to ensure delivery obligations are met. Money for the project came from a wide range of funders. The Colorado Water Conservation Board approved a $383,000 grant. The U.S. Bureau of Reclamation and the National Oceanic and Atmospheric Administration also pitched in. The Conejos district contributed $25,000, more than 10 percent of its annual budget. But there are still some steps Coombs hopes to see happen that could further improve data collection for forecasting. Right now the district’s highest snow gauge is at 10,500 feet in elevation, which excludes large swaths of the snowpack that run off in June. “All of our late snow that throws our forecast completely out the window is above that,” Coombs said. One solution to measuring that snowpack was a mobile radar unit stationed in Alamosa during the project’s first year that helped measure the intensity of late spring storms. Coombs expects that unit to be back next year. But a longer term solution may emerge from work with the U.S. Forest Service. The district hopes to install snow gauges in the 161,000-acre South San Juan Wilderness, a move that would require forest service approval. The wilderness area sits above the district’s gauges and is a monitoring blind spot. 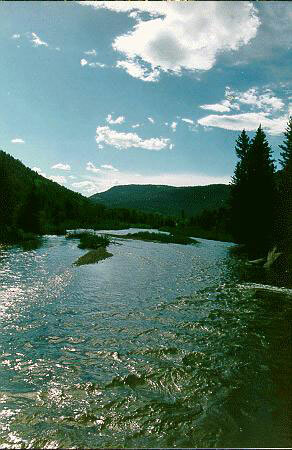 It’s also home to a slew of important Conejos tributaries such as Elk Creek, and the South, Middle and Adams’ forks. The end game of all the data collection and the work by federal scientists on the forecast model will give water managers a fuller picture of what’s coming downstream. Proponents of an expanded national monument met with water leaders and some resistance on Tuesday in Alamosa. Rio Grande Water Conservation District (RGWCD) Board Member Dwight Martin , who lives in the southern part of the San Luis Valley where the proposed expansion would occur, was clear in his opposition to expanding the existing Rio Grande del Norte National Monument northward from New Mexico into the San Luis Valley. He added that the Conejos County commissioners are also opposed to the monument expansion. Martin said about 90 percent of Conejos County residents at a meeting he attended on the monument were opposed to the expansion, and he questioned why the expansion was needed. Anna Vargas, project coordinator for Conejos Clean Water, the organization promoting the monument expansion, responded that the meeting Martin attended was a meeting hosted by opponents . Vargas told water board members on Tuesday that Conejos Clean Water had accepted language recommended by the water district to safeguard water rights within the monument, if it is expanded into the Valley. The language also recognizes the existing Rio Grande Natural Area, which lies in the proposed monument expansion. “We are not trying to trump any of the work that’s been done on the natural area,” Vargas said. Vargas recently completed the intensive water leadership course sponsored by several water groups including the Rio Grande Water Conservation District. She said the course gave her a better understanding of water issues and rights, such as the Rio Grande Compact. She said she had not viewed the monument expansion as affecting water rights but as more of a land protection issue . She said she now understood the potential problem implied water rights could generate. “We don’t want national monument designation to have any implied water rights,” she said. The goal of the monument expansion, she said, is to preserve the land for traditional uses. The Rio Grande del Norte National Monument, encompassing 242,500 acres, was designated by presidential proclamation in 2013. The expansion proposal would bring the monument north of the New Mexico state line into the southern part of the Valley and would encompass about 64,000 additional acres of Bureau of Land Management (BLM) land, Vargas explained. She said the goal would be to preserve traditional uses such as piñon and wood gathering, hunting, fishing and other recreational uses. The monument would also prevent the land from being sold or leased for mining extraction. The turquoise mine would be “grandfathered in,” she said. Vargas said proponents of the monument expansion want to be proactive in protecting the land from oil and gas activity. “To us, that is a threat,” she said. In 2007 that threat was real, she said, with four oil/gas sales involving 14,500 acres in the San Luis Hills and Flat Tops. The reason drilling did not occur, she added, was “basically because of a loophole” created because private landholders had not been notified of the sales. “What we don’t want is a repeat of that,” she said. There might not be a loophole to prevent it in the future, she added. Vargas said that is why Conejos Clean Water is trying to get more community input and address these issues. She said there are rumors that the group is trying to prevent such uses as cattle grazing, but that is not the case. Such traditional uses are what the monument would protect, she said. The land would continue to be BLM property, public lands, she said. “Thank you for recognizing the concerns the district expressed,” RGWCD Attorney David Robbins told Vargas. The district also sent a letter to the Department of the Interior and Colorado’s congressional delegation expressing the district’s concerns about the monument expansion without terms and conditions that would ensure water resources and the Rio Grande Natural Area are not adversely affected. The Rio Grande Natural Area, created through a federal, state and local partnership, integrates the management of federal and private properties along the Rio Grande between Alamosa and the state line to protect the riparian corridor for several purposes including Rio Grande Compact deliveries. Representatives of the district also personally met with congressmen and Deputy Secretary of the Interior Mike Connor. The district presented language protecting the Rio Grande Natural Area that it requested be included in the monument designation, were that to occur, and Conejos Clean Water has agreed to that language. Robbins said the Valley’s congressmen and Department of Interior also assured the district they would not move forward with a monument expansion unless the district’s concerns were properly addressed.